The Wu family are among the most creative audio designers around. Woo Audio, run by Jack Wu, along with his father Wei and brother Zhidong, is the place to go for incredible tube amps. But this time, they've released something a little different. The WA11 Topaz is a portable headphone amp with no tubes in sight. In this review, we break down the WA11's sound, design, packaging and accessories, specs and more. To see how it stacks up, check out our list of the best headphone amps. 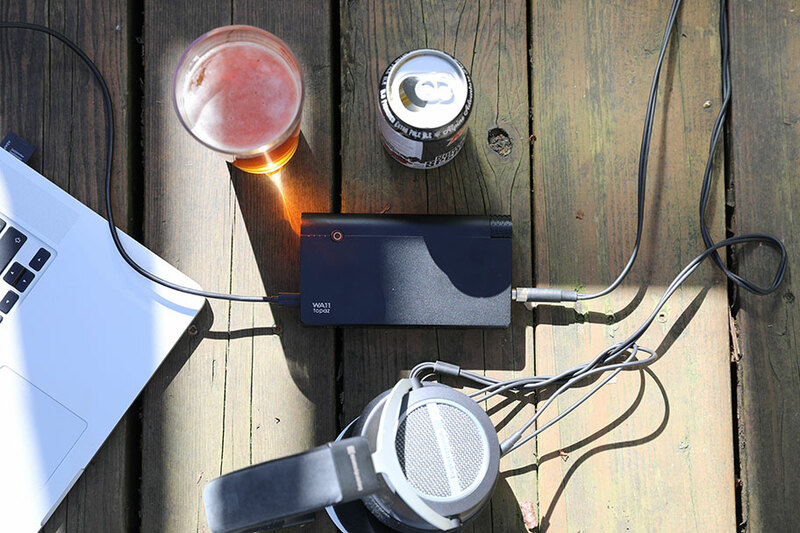 The Woo Audio WA11 Topaz is a pricey little beast, at least compared to other portable headphone amps. It goes for $1,399, making it one of the most expensive amps of this type – as you'll see when we talk about less expensive options below. Fortunately, one of the things Woo Audio has never had a problem with is value. Their products may be pricey, but the quality is well worth it. Even if just for the sound quality. With the paperback-sized WA11 Topaz, it's the bass that hooks you. Specifically, the mid-bass. This is the area where you'll find instruments like kick drums, some brass, and even a little bass guitar. When these tracks are played through the WA11 Topaz, real magic happens. Kick drums feel like they've been coated in hot butter, with a savory, addictive feel that makes you want to relive your favorite tunes. Bass guitar notes sound open and vigorous, and the whole lower end of the frequency spectrum becomes an absolute joy. 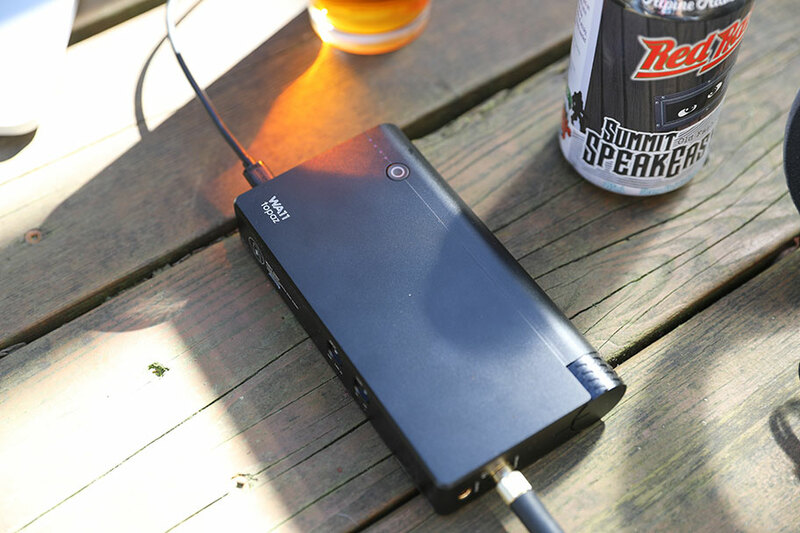 Compared to other portable amplifiers – even those known for good sound, like the $399 iFi xDSD (full review here) – the WA11 Topaz is worlds apart. Listening to the bass on the WA11 Topaz is like taking a sip of really good scotch, or getting behind the wheel of a supercar. Even if you've never hit that level before, you're instantly able to understand that you've gotten hold of something brilliant. Admittedly, the WA11 Topaz doesn't have the sub-bass slam of other, bigger Woo Audio amps, like the Woo Audio WA7. But it's a different beast, with circuitry in place of glowing tubes, and we wouldn't expect it to have the same sound signature as Woo's other creations. The stellar audio quality is a true testament to the design process. It's not just the mid-bass that impressed us. As a whole, the sound of the WA11 Topaz feels tremendously clean and pure, with every part of the music polished to a mirror shine. It doesn't feel rigidly neutral or obsessed with balance. There are plenty of solid state amps, like the incredible Sony TA-ZH1ES (full review here), which put neutrality above all else. That's definitely not the case here. The sound of the WA11 Topaz is colored in a very pleasing, subtle way. This effect – this clean, lemony-fresh vibe – was most prominent in the upper ranges of the sound. Violins were so bright they practically squeaked. Snare drums cracked and sizzled. The upper ranges of female vocals were beautifully light and airy. Paired with the gloriously-textured sub bass, the overall impression of the sound was of cold, clear sharpness - like a mouthful of freshly-fallen snow. Part of this, we suspect, is down to the internal Digital-to-Analog Converter (DAC). It's run off an ESS Sabre chip capable of handling files up to 24-bit / 384 kHz, and delivers breathtaking detail. 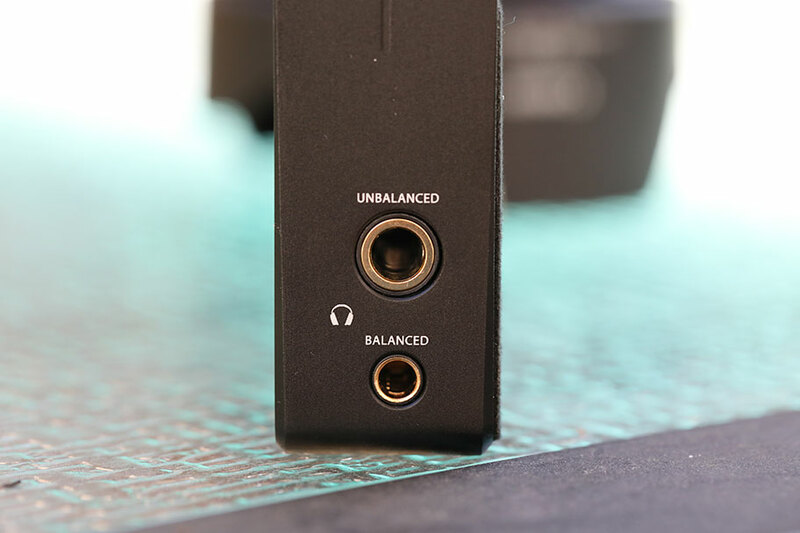 The WA11 Topaz is a Class A headphone amplifier – a type of amplifier that sacrifices efficiency for low distortion. It has a bit more grunt than other headphone amps, outputting 1.2 watts of power at 30 ohms. For comparison, the tank-like Pathos Aurium only outputs 1.8 watts despite its significantly larger footprint. That means that the WA11 Topaz is capable of powering just about any pair of headphones you can think of, and we tested it on every pair we could find. It handled demanding headphones, like the Beyerdynamic DT 880s, without breaking a sweat. Big planar magnetic headphones held no fear for it. And for a battery-powered amp, the WA11 Topaz performed exceptionally well no matter what we plugged into it. It wasn't just in-office testing we conducted. We first heard the WA11 Topaz at CanJam New York City, which is one of the larger headphone trade shows. While on display, it was being demoed with some exceptionally demanding cans, including the Abyss Diana Phi and the utterly bizarre Mysphere headphones. We didn't do extensive testing with these particular models beyond a few minutes of listening, but it was very clear that the WA11 had no problems taking them to the max. There is, however, one major caveat here. The WA11 Topaz is designed for full-size headphones. In other words: big, over-ear models. It even explicitly says this on the manual, and on Woo Audio's homepage. While it does work with in-ear monitors or earbuds, like the Campfire Audio Andromeda we tested it with, it's very clearly meant for bigger cans that require a bit of grunt. The sound with the Andromedas was fine, but if you prefer listening to earbuds, you may find that there are occasional power mismatches. You'll also need to own a 4.4mm balanced connector, rather than the standard 3.5mm cable. 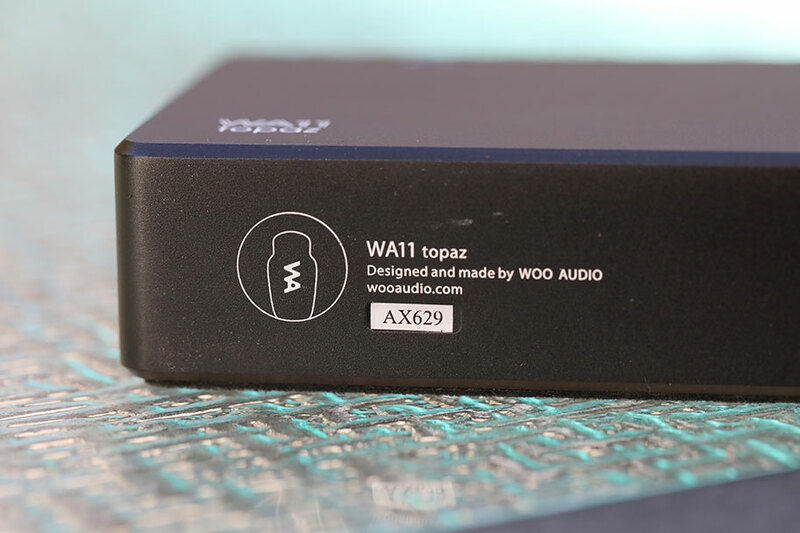 Despite all its positives, the one thing we wished for was the ability to use the WA11 Topaz as a standalone DAC. We felt like the included ESS Sabre chip was working well, and it would have been nice to have the option for a DAC-only machine. In fairness, that's not what it's designed for, and we do understand why that option doesn't exist. For such a powerful headphone amplifier, the WA11 Topaz is a surprisingly simple machine. It's a weighty black box, the size of a small book. Black boxes aren't our favorite design here at TMS, although God knows, we see a lot of them every year. Fortunately, the WA11 Topaz has a few nifty design highlights to make it stand out. Chief among these is the curved top end, which sits flush against the massive, knurled volume knob. The size of the volume control and textured nature make it quite simple to find without looking. In terms of build quality and design, the WA11 Topaz clearly owes a debt to the older WA8 Eclipse. While it doesn't have that model's glowing tubes, it does have simple controls and easy to read displays. 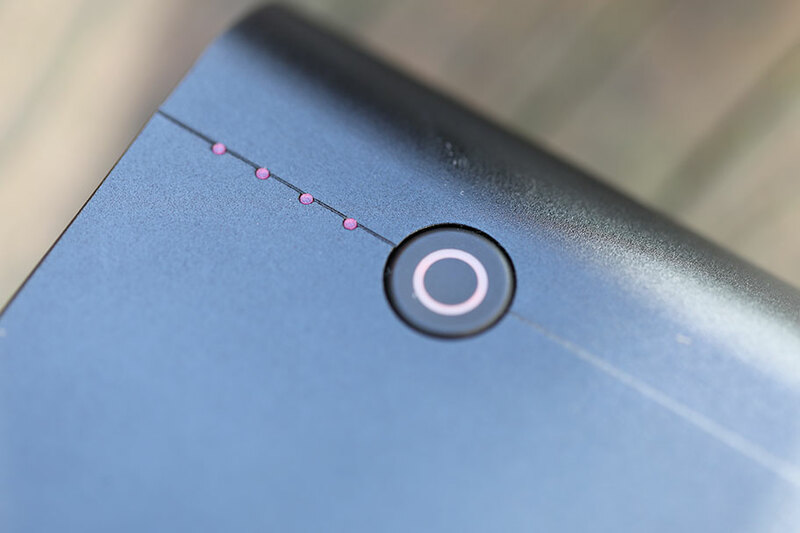 A big power button on the side sits next to a simple four-light battery indicator. On the side opposite the volume knob, you get a high/low gain switch, and a switch to choose your input, be it DAC or line-in. There's a real sense of solidity and simplicity here, with an elegant use of materials. We particularly like the underside. 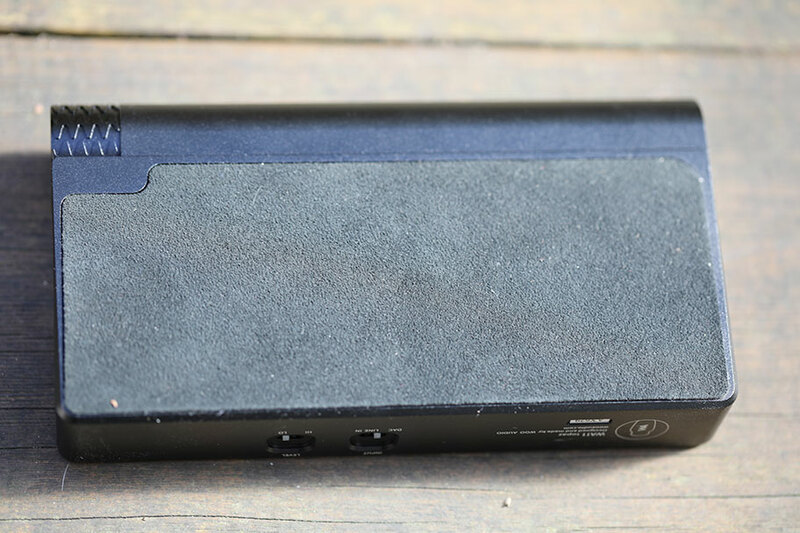 It's covered with a material known as alcantara, a specially-designed fabric that feels as soft as butter, and which allows you to place the amp on any surface without fear of scratches. The WA11 Topaz weighs about a pound, but feels solid in the hand. Although we didn't actually drop-test its structural integrity, we felt like we could. The inputs and outputs on the WA11 Topaz are straightforward and intuitive. 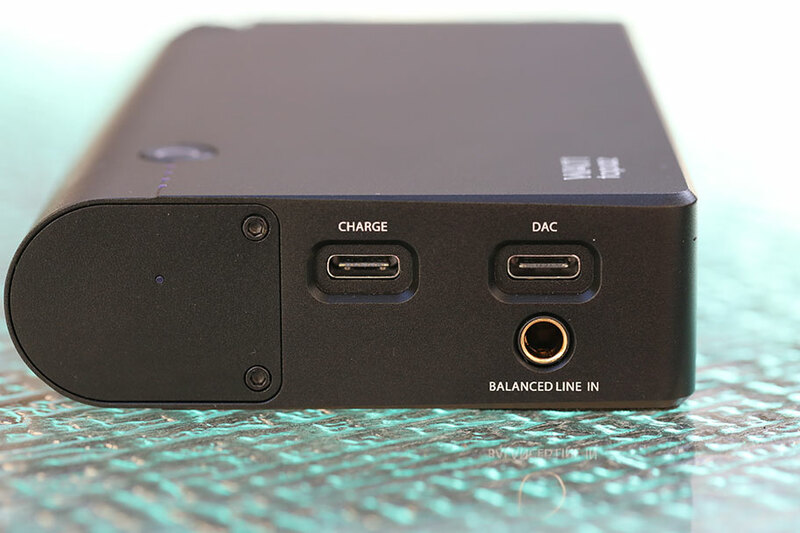 On one side, there's a charging port for a USB-C cable, used to connect a source like a smartphone or PC, as well as a balanced 4.4mm line-in, for connecting a digital audio player (DAP). On the other side, you get a standard 6.3mm unbalanced headphone output, and a 4.4mm balanced one. Everything is clearly labelled and easy-to-use, demonstrating what we expect to see in an amp of this price. There's no XLR output, sadly, but Woo Audio didn't just forget to insert it. 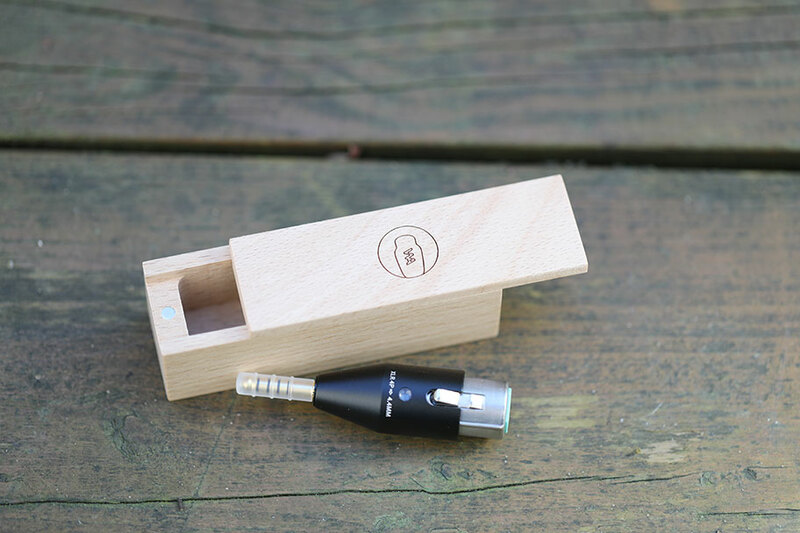 They even offer a custom-built XLR-to-4.4mm adaptor for separate purchase, which comes in a sweet wooden box. While it would have been great to have a balanced XLR output here - XLR connections are three-pin connections that headphone aficionados prefer, claiming it delivers a much cleaner signal - we can appreciate that such a port would have looked ungainly on the side of their amplifier, or complicated internal circuitry. The key selling point for the WA11 Topaz is that it's portable. You don't need to plug it into the wall; instead, it uses a lithium ion battery, which takes a couple of hours to charge and can provide around six hours of continuous playback. In testing, we received five and a half hours of battery life before needing a charge, which is still quite impressive. Admittedly, it's not as good as the cheaper FiiO Q5 (full review here), which costs $349 and offers over eight hours of battery. But it's still decent, and the sound quality easily outstrips the Q5. Hell, it outstripped just about every other portable headphone amp we've heard. The WA11 Topaz does, however, have one major omission: Bluetooth. While the WA11 Topaz is an entirely portable machine, Bluetooth would have really taken it over the top. It's very clear that the omission was a design decision – even a quick glance at their product line will show you that Woo Audio are all about high quality wired sound. But all the same, even though it was deliberately left out, we couldn't help but wish it was there. It would have been great to sling the WA11 Topaz into a backpack and have it connected wirelessly to our phone. There would have been a sacrifice in audio quality, but Bluetooth standards – which include LDAC, aptX, and Bluetooth 5.0 – have gotten better over time. Even if the sound quality wasn't quite as good, we would have really liked the option here. There's a real handmade quality to the the accessories. The amplifier comes in a cloth bag, the cables – a USB-A-to-C and a USB 2.0 C-to-C– come in a cloth bag, and even the cloth bags come in a cloth bag. 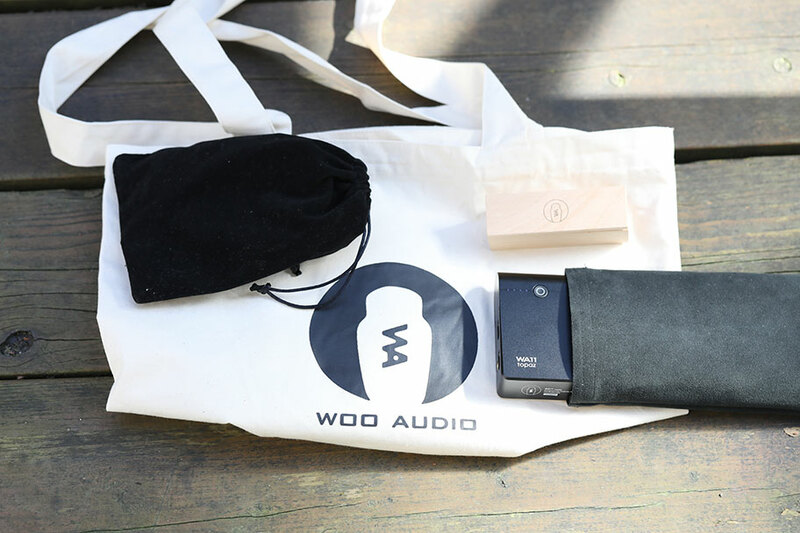 Seriously, the whole package ships with a nifty Woo Audio tote bag stuffed inside. All the cloth bags are made of alcantara, the same material that covers the bottom of the amp itself. You get a Woo Audio sticker and a business card that lists your amp's serial number, which is also embossed on the bottom of the Topaz. At TMS, we believe in the overall experience. It's not just about how piece of equipment sounds – it's about how it makes you feel from the moment you open the box. And unfortunately, in the audio industry, this is something that companies haven't quite figured out yet. Trust us: we've been shipped a $10,000 amplifier that arrived in a battered cardboard box, held in place by ratty foam inserts which felt as if they had been included as an afterthought. But Jack Wu gets it. He and his company understand that, if you're going to drop four figures on amplifier, he'd better make you feel super-smart for doing so. In the words of Fat Amy from Pitch Perfect: crushed it. The Woo Audio WA11 Topaz delivers clear, clean sound quality. The design and build quality of the WA11 Topaz is outstanding, with sensible controls and a real premium feel. The company's accessory game is off the freaking charts. The Woo Audio WA11 Topaz isn't built for earbuds or IEMs - it's more at home with full-size headphones. Despite its portability, the Woo Audio WA11 Topaz has no Bluetooth, or any other wireless options. There is no ability to use the WA11 Topaz as a DAC-only machine. 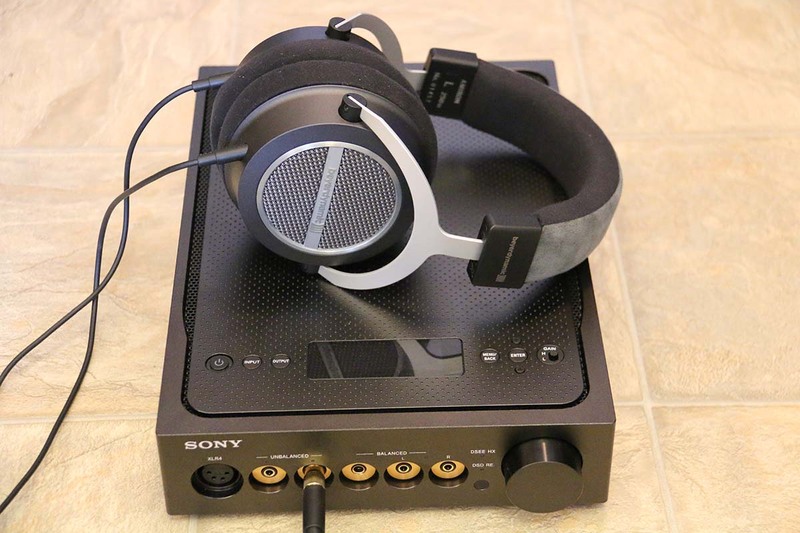 Since the WA11 Topaz is Woo Audio's first solid-state amp, perhaps it's appropriate to compare it to what we consider the best solid-state amp around: the Sony TA-ZH1ES. This is an absolute monster of an amplifier: a huge, powerful desktop beast that's decidedly not portable. 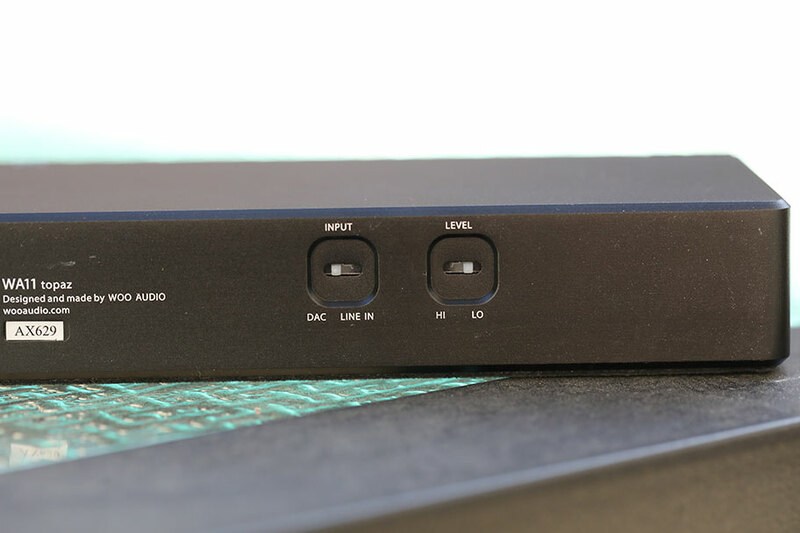 It offers massive input and output sections, and functions well as both a stand-alone DAC and a stand-alone amplifier. The sound is terrific, as well. It's much more neutral and balanced than the WA11. And while it isn't quite as exciting or lively, it's ideal if you want a completely transparent headphone setup. 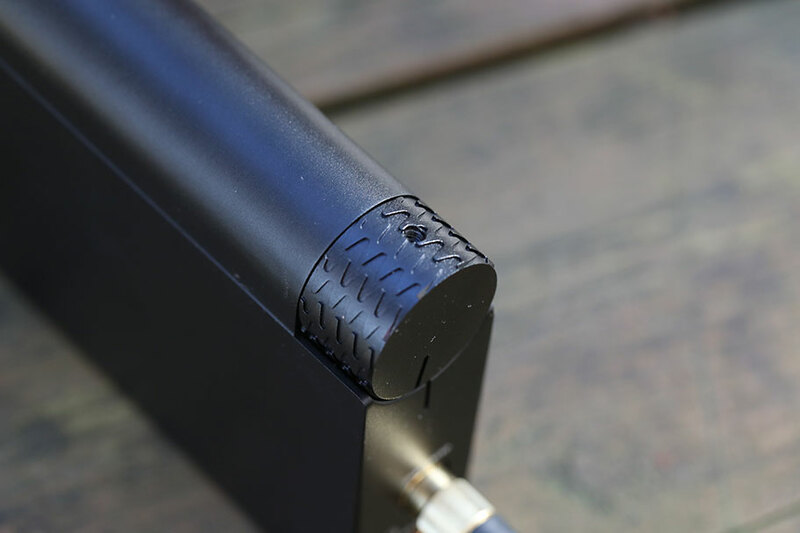 Also, unfortunately, it doesn't come with an XLR connector in a cute wooden box, but it does have a built-in XLR port. The Sony costs $2,188, versus $1,399 for the WA11 Topaz. For the most part, portable headphone amplifiers are a little bit cheaper than the $1,399 WA11 Topaz. You can spend a lot less without losing a huge level of quality, too. 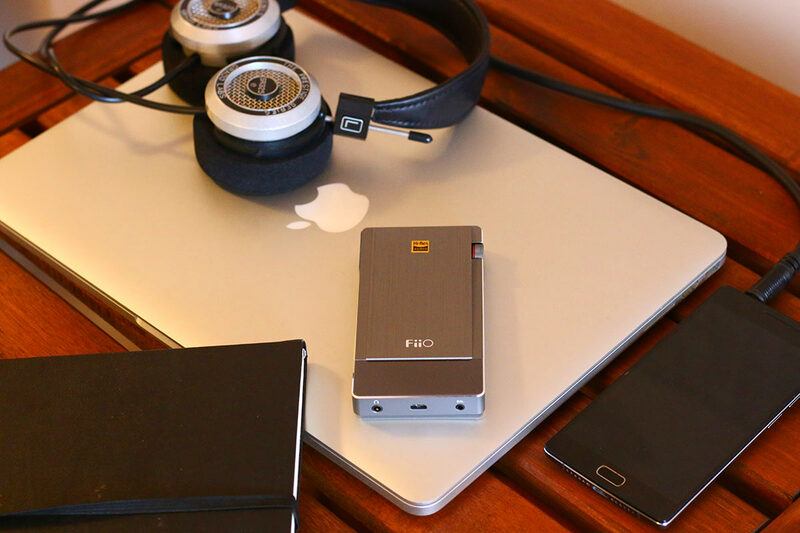 There are a couple we recommend, and the first one is the FiiO Q5. At $349, it offers a serious amount of functionality, including the ability to swap out the amp module for different sounds - something the WA11, for all its charms, can't do. It delivers weighty, compact, punchy audio quality that isn't as smooth as the WA11, but definitely has its charms. Keep in mind that, at the time of writing, FiiO are gearing up to release the Q5S - an upgraded version with a new DAC section and advanced file handling. We haven't heard that one yet, but we've been told there's a review model with our name on it. 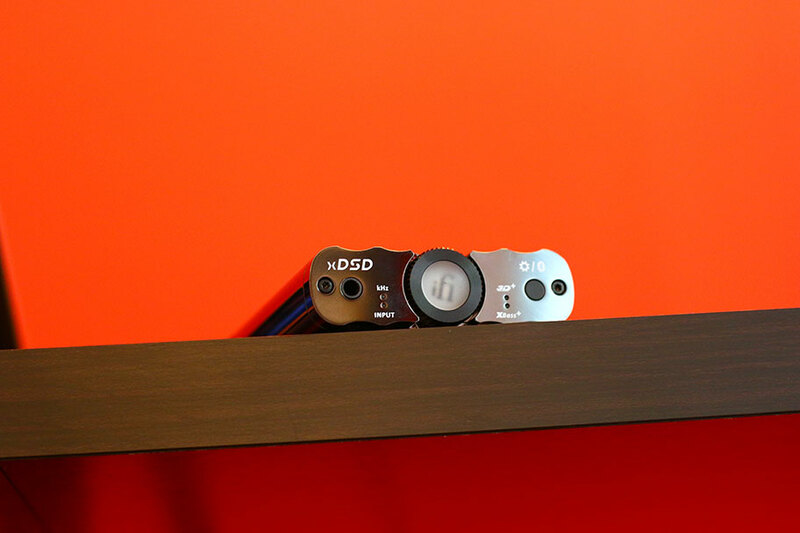 If you want something a little more technical, then we recommend the shiny iFi xDSD. We mean shiny in the literal sense – this beastie has a shiny metal shell that attracts fingerprints as much as it does envious glances. 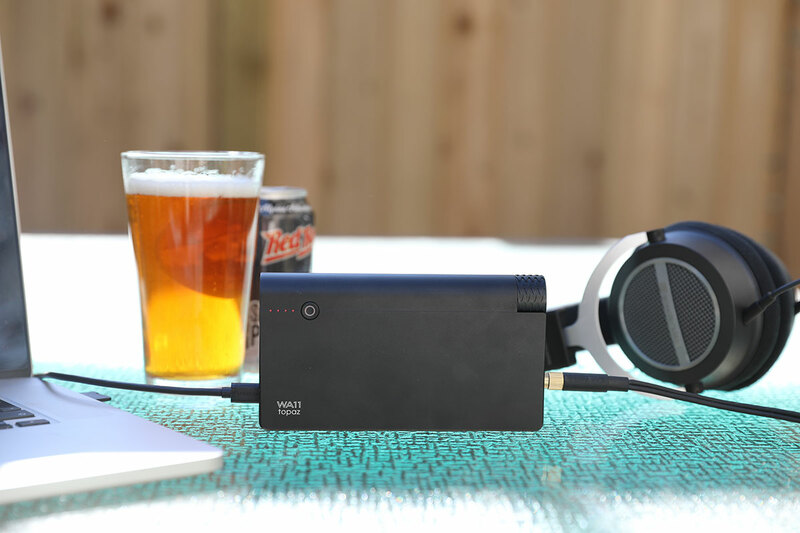 This is more of a portable DAC than a portable headphone amp, but its ability to handle a huge range of files (up to 768kHz, versus 384kHz for the WA11) means it's more versatile, and can slot directly into a setup that includes an existing headphone amp. Sound wise, it beats the FiiO Q5, but we still think the WA11 has more assured sound. The xDSD costs $399, only slightly pricier than the Q5. And finally, let's pit the WA11 Topaz against its granddaddy, the Woo Audio WA8 Eclipse. You can see the resemblance: the Eclipse is of a similar size and build. But while the design is a little more rudimentary, it has one big difference. That difference is the inclusion of two tubes behind a transparent window. Those tubes made the Eclipse the world's first battery-powered tube amp, and it has legions of fans. Our take? The Topaz is better. While we love the sound of the Eclipse, it doesn't feel quite as assured or as natural as the beautifully-tuned, less-expensive Topaz. And we say this as people who love tubes. Woo Audio make plenty of fantastic tube amps – our favorite is still the exquisite WA7 Fireflies - but we believe that, if you have to pick between their two portable options, the WA11 Topaz is the clear choice.